The pros go dry in cold water - shouldn&apos;t you? I get it. 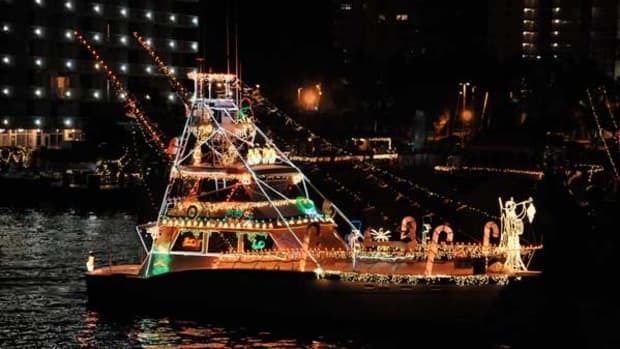 You aren’t about to haul and wrap your boat just because it’s getting cold. You sail all year and like the wind in winter even better. Or maybe you always go for cod off Jersey in January; you won’t catch me out there but I hear the cod and pollock fishing are great between November and March. Whatever your reasons for venturing offshore on very cold water, you should always remember that water and cold water are not the same thing. 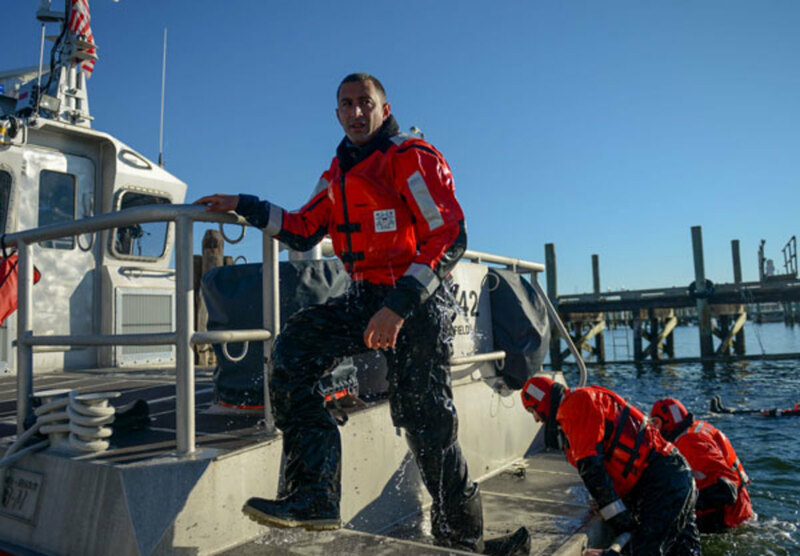 Life jackets are essential anytime you are on deck this time of year, but to truly boat safe in water at or under 55 degrees, you should invest in a dry suit. Though they range in price from reasonable to are-you-kidding-me, no one has ever regretted the money when they fell overboard in February. 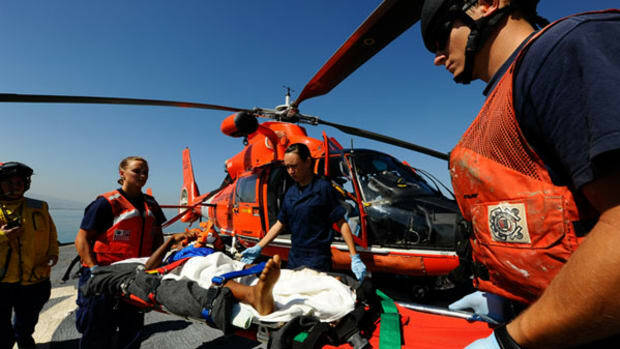 Here are a few things to remember when deciding what to wear and how much to spend on this lifesaving survival gear. 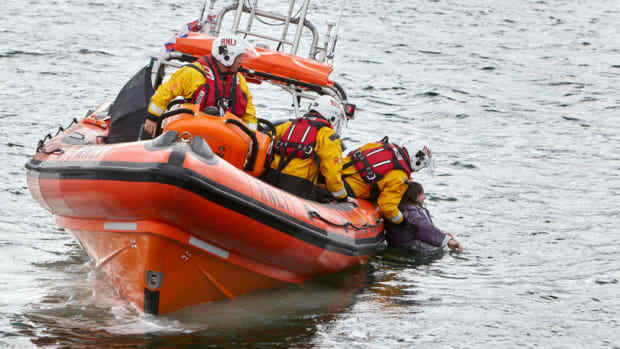 Wearing a properly fitted dry suit with insulation can stave off hypothermia. If you remember the Cold Shock Response from a couple of weeks ago then you know that the first minute or two in cold water can be deadly. The response is a reaction to cold water on skin, so a properly worn dry suit completely eliminates the cold shock response (and that risk) from a cold water immersion. Additionally, a dry suit — with the right insulation — provides significant buoyancy all on its own. Using one in tandem with a PFD is the right idea, and in cold water especially, more buoyancy is better. The second (and most dangerous) risk in cold water — cold incapacitation — is also mitigated. Depending on water temperatures, your ability to swim, signal, use your hand-held radio, EPIRB, AIS, won’t be gone in ten minutes. A good dry suit and underlayer combination can stop cold incapacitation for ten hours (or more). Unlike wetsuits, which are bulkier and (as the name suggests) wet, dry suits remove most of the conductive cooling that occurs when the skin is in direct contact with the water. You may have heard that dry suits can be uncomfortable to wear, but I disagree. 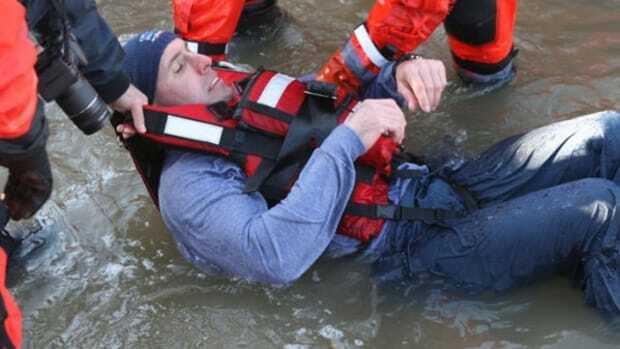 Whenever I hear complaints about dry suit comfort, I see someone who has failed to purchase the right suit and adjust it correctly. I’ve worn dry suits for well over 12 hours — and slept in them. 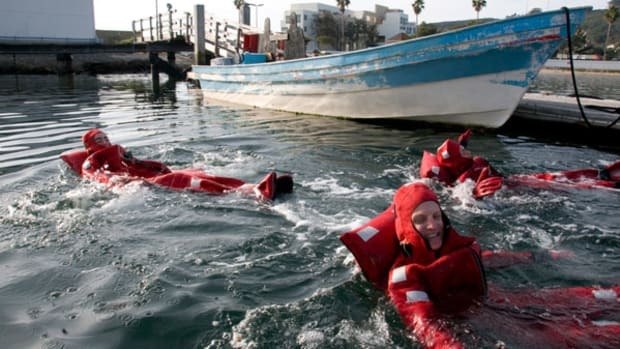 They are called “dry suits,” not “warm suits.” Unless you purchase a suit with built in insulation, all the suit is designed to do is to provide a barrier to the water. The clothing you wear underneath is what provides the warmth. There is no magic material out there — thickness equals warmth. I like the non-insulated variety of dry suits the best, because they allow the greatest flexibility in undergarments. 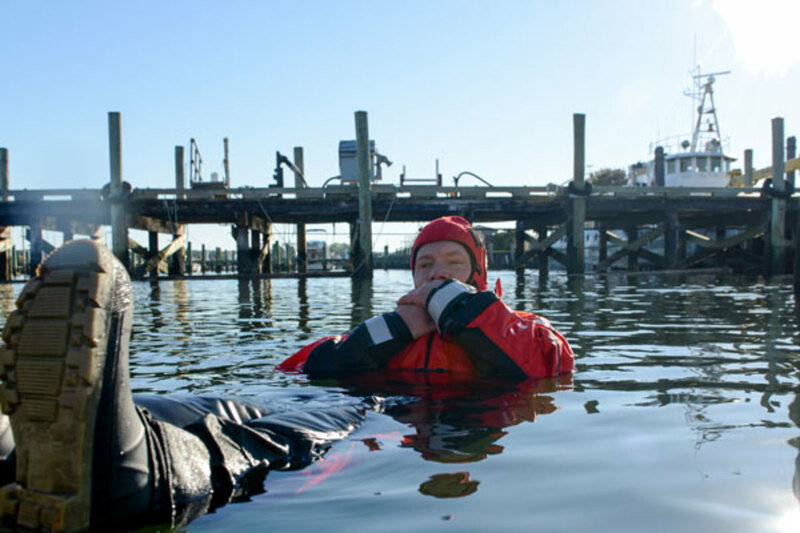 Like all things survival-related, you’re probably not going to need it — but since a dry suit has to be worn in order to work, you’ll want the option of changing underlayers to be as comfortable as possible. It’s tempting to just step into your dry suit in whatever clothes you normally wear while boating. Don’t do that. You want synthetic or wool under garments designed to insulate and wick sweat away from the body. How thick is thick enough? 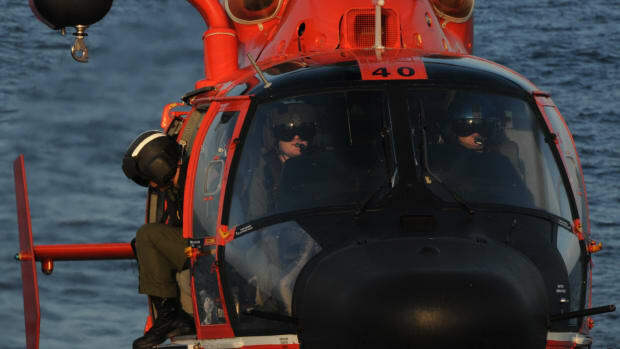 In the Coast Guard we had charts and rules for these things, but my best suggestion is this: Wear as much insulation under your dry suit as you can be comfortable in while on deck for a few hours. Too little insulation would be bad if you are to fall into the water, but too much insulation can be worse if it leads to overheating and/or fatigue. Personally, I own several layers in different thicknesses and make adjustments based on the environment. It’s how the dry suit interfaces with the skin on your neck and wrists that you’ll want to pay the most attention to when choosing a dry suit. Do you go for adjustable or non-adjustable? Latex, silicone, or neoprene seals? They each have their pros and cons, but after decades of wearing these things, I’ve become a fan of adjustable neck seals made from neoprene in combination with a custom-sized or permanent neoprene wrist seals. 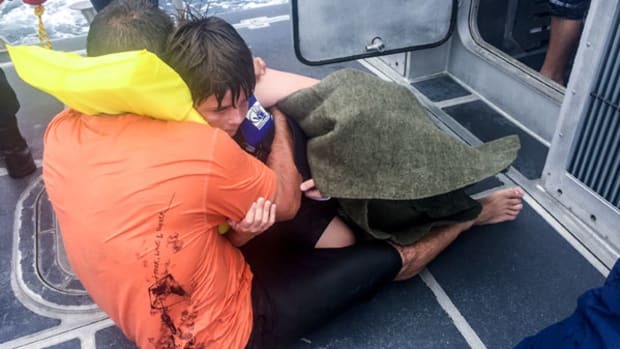 As a rescue swimmer, I would never wear an adjustable seal, opting instead for a custom cut and painfully adjusted-to-a-perfect-fit latex neck seal, but I was definitely going to get wet and work hard while spending at least some time underwater. Though custom cut seals are the best option for sealing out all water, they are the least comfortable while on deck and uncomfortable is bad in a constant-wear dry suit. If you hate having the thing on, you’ll be way less likely to have it on. You’re also less likely than I was to be head-under for anything more than a brief second or two. 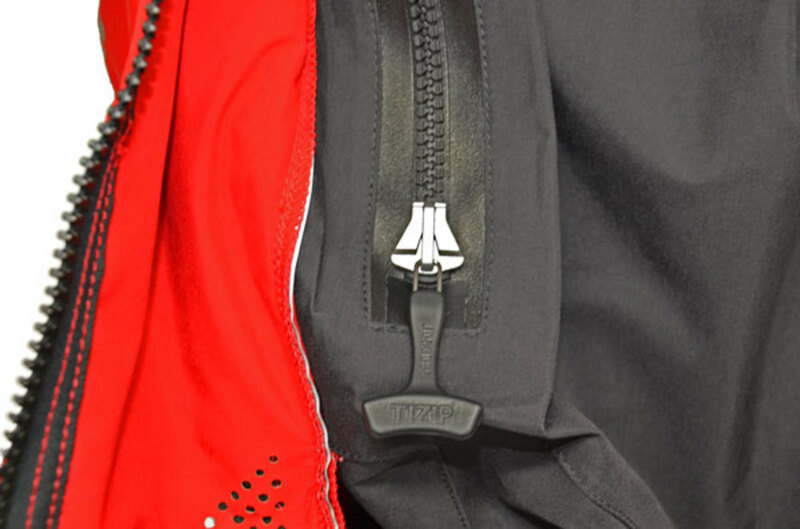 Zippers are also a variable in dry suits, but the technology has improved. What used to be a tug of war with some of my “legacy” dry suits — we used to ask for help from a friend — is now no more difficult than zipping a regular jacket. Where zippers are concerned, what is critical to remember is that there is no variable in open and closed; they must be fully and completely closed to keep the water out. According to a report by Transport Canada, just a half liter of water in a dry suit reduces its insulating properties by 30 percent. The watertight seal is made by the pressure of the teeth being squeezed against one another when the zipper is closed. The zippers (and seals) require care. They have to be kept clean and there are special lubricants (usually wax) to keep them in good working order. Whichever suit you choose will come with instructions for care — do what they tell you. Seals and zippers can be replaced, but it is not cheap. Dry suits are another topic that is impossible to fully cover in a single post. If you don’t own one and are considering investing, you’ll likely run into more questions during your search. I’ll be happy to answer or find you an answer if you write (mario@mariovittone.com). Or, you could just put your boat on blocks and stay inside like everyone else.